Color(s): Beautiful colors, reds, creams and golden. Like the Golden Retriever, Goldendoodle is also a family dog. It is a cross between a Poodle and Golden Retriever, which is how it got its name when it was crossed between the two breeds in 1992. It loves outdoor activities and sports but is not a hunting dog. It is a breed of dog which adjusts nicely with children and pets. 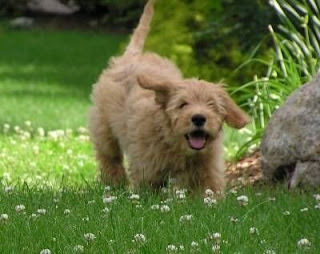 This breed was created to meet the demand for a low shedding family dog; therefore shedding is very insignificant in the first generation of Goldendoodles. Since this is a cross breed between Poodle and Golden Retriever breeds, it may suffer from the problems associated with either of the two breeds. However, if the dogs are checked before breeding then diseases can altogether be avoided. Nonetheless, Goldendoodles are at a higher risk of hip dysplasia, dry skin and food allergies. If properly tested and healthy parental breeds are used, then Goldendoodles proves to be a long living breed, living for approximately 15 years.